About a month ago Portiva started a two year Program called “Portiva Samen Groeien” (Portiva growing together”). Therefore we started a partnership with Pam and Bernard from Carv Company. They are going to teach us Soft Skills related to the topics “Me”, “The Team” and “The Customer”. It all started with us filling in a personality test of about 150 questions. During a 1-on-1 with Pam, we would talk about our results and think about our personal goals for these two years. Next to these 1-on1 sessions we also have group sessions. The first group sessions was about the topic “Feedback” and here I would like to post what I learned about “Feedback”. A compliment is an expression of praise. Just like saying “I like your hair”. Feedback ‘is a process in which information about the past or the present influences the same phenomenon in the present or future.’ (Wikipedia). Which means you give feedback about something in order to influence the future. For our context it is important that feedback should always be about behaviour. Feedback can be positive, if you want the same behaviour to happen again; or negative, if you want to change the behaviour. Describe the behaviour you have seen in the other person. Describe it from an “I have seen” perspective. Ask the other person if she has also noticed this behaviour in herself, if she can recognize herself in your words. In the case that you do not find agreement at this step, then there is no point to continue. Describe how this behaviour affects you… which feelings you get from the other persons behaviour. Together, try to interpretate the situation and why you got there. Together, try to find a solution. We got the assignment to give and ask for feedback from different people using these guidelines. During this assignment I actually learned the most, about why the rules are important. (1) Because you are describing in the “I have seen” perspective, the other person cannot argue with you. You have seen what you have seen. (3) If you the explain which feelings you get from this behaviour (irritation, anger, happiness) you will make it personal on your side. This will be the moment why the other person will understand why you want to give the feedback and why it is so important for you to get this out. (4-5) Trying to interpretate and finding reasons for the behaviour at this late stage in the conversation, makes the most sense. You both already agreed the the behaviour is taking place, and you have already made it personal and important. So both of you are neutral and will be open for the interpretation and solution. give feedback on the behaviour of someone else, if it triggers strong feelings in you, and you want to influence the behaviour in the future. One of the most important things I’ve learned, is to be open when you go into a feedback conversation. Do not try to figure out why the other person is behaving in a certain way, before the conversation. You will have time and space in your conversation for doing so together. Als SharePoint Business Consultant opereer je tussen Business en IT. Je adviseert klanten over de inzet van Microsoft SharePoint voor thema’s als ECM, collaboration, BPM, portals of search. Business cases werk je verder uit in functionele ontwerpen en advies rapportages. Binnen het projectteam vertaal je het ontwerp naar een concrete SharePoint oplossing waarbij je gebruik maakt van diepgaande technische kennis van collega’s waar nodig. Je opereert nadrukkelijk aan de klantkant en bewaakt de functionele wensen en eisen van de klant gedurende de realisatie. Je overtuigd op kennis en ervaring m.b.t. SharePoint maar ook op bedrijfskundig niveau. 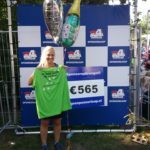 Je zit aan de voorkant van projecten en afhankelijk van je achtergrond en ambitie vervul je de rol van lead SharePoint consultant of Projectleider. Je bent ondernemend en naast billable werkzaamheden ondersteun je het management op het gebied van de ontwikkeling en positionering van Portiva. Bijvoorbeeld door het verder ontwikkelen van de Portiva eigen project en consultancy methodologie; genaamd Portiplan. 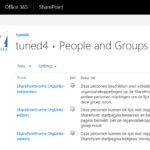 Portiva organiseert samen met Microsoft en enkele partners een aantal boeiende SharePoint seminars. De seminars zijn bedoeld voor directie,IT Management (CIO, CFO, CTO) Controllers en Business Managers. Met name de business aspecten en organisatorische voordelen bij de invoering van Portal oplossingen komen aan bod. This is my summary of the Lync and Learn Session over the Web Meeting functionality of Lync 2010 (http://bit.ly/IEsIQt) by Brett Hill. !Be Aware, Lync Meetings have no Login or Authorization facility. You cannot control who enters a meeting. There is an option to place people in the Lobby and then give them admission to enter. Who is placed in the Lobby or admitted directly? Does the user need to work with the form if he is not connected to the Internet? Yes: InfoPath is a good solution, it runs in the Client! #1. Dont under-estimate – it is very difficult to make an estimation for BI Projects! #2. Be Iterative – Deliver! #3. Pick the Right Team – more than one person needed, more than “just” SharePoint People! Don’t communicate solely on IM – Speak! Security? Per user authentication on data? #8. Plan Authentication upfront – Depends on Users! #9. Collaborate on Dashboards – there are a lot of opinions! Don’t rely on IT to design it. 1. What is a File Plan? 2. What does it mean, being on the road? 5. How to measure satisfaction? 7. 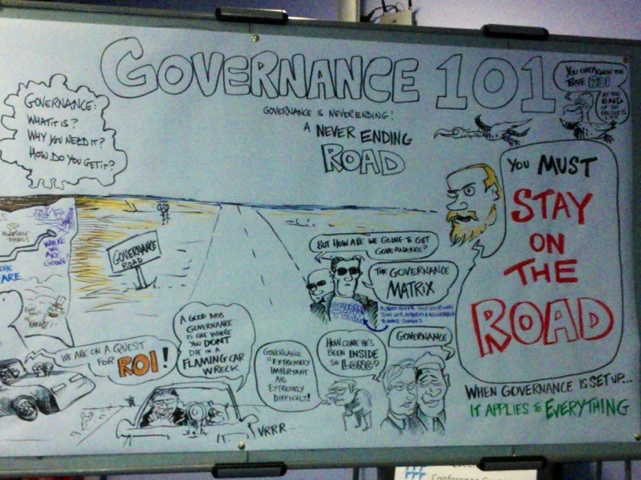 How to get Governance? Technology alone is not the answer. The alignment of the business process and the users must be part of the adoption goal. 2. What did we learn about Adoption? 4. Who needs to be trained? Support and Training are equally Important! Use Analytics to measure success! – most common task you perform? – perfect world: how would it work? Which navigation objects do you want to use? – what type of sites will be used? avoid red and blue touching! If you have a strange feeling, don’t do it! Give users the feeling that they get what they want.